Aren't these some awesome giant cupcakes?! I have the mold to make one of these beauties and I have! I don't think I've shared one on this blog though? I get so caught up when I'm baking, half the time I forget to take pictures. The mold I have allows you to add a filling too. The reason I bought it was because I could add ice cream right to the middle! Yummy! These cupcake cakes are so creative, and I especially love the Hello Kitty cake! I love how the baker incorporated the yellows instead of just doing pink. The next time I make a giant cupcake I will definitely blog about it! A little advice that I can share is that you need to make sure you don't skimp on the bottom mold. I did that once and the base wasn't strong enough for the cupcake top. Oops! 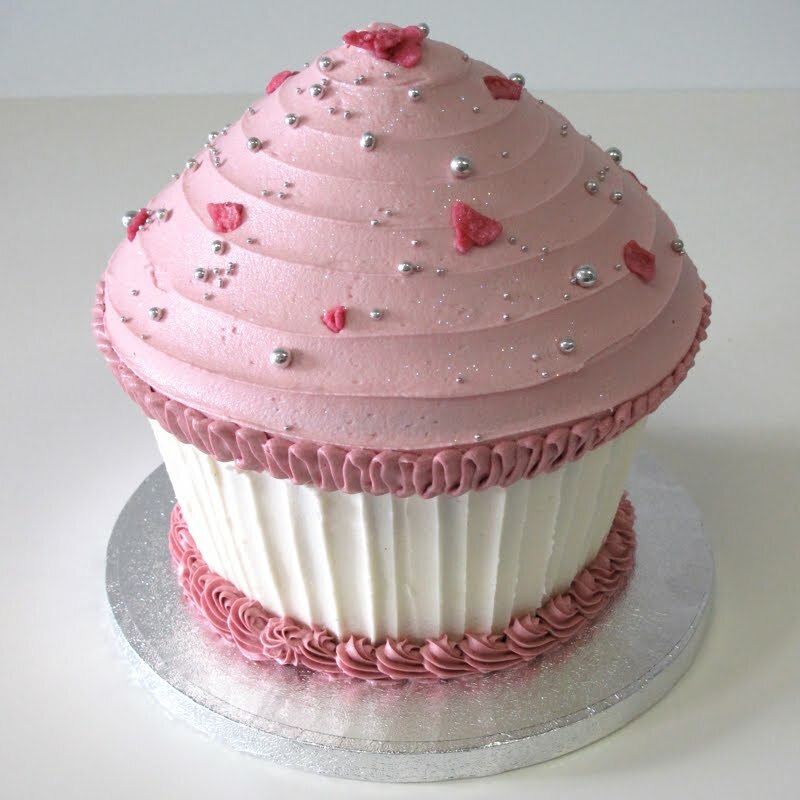 Have you ever made a giant cupcake cake?